See N9969 : Lougher station near Drogheda. 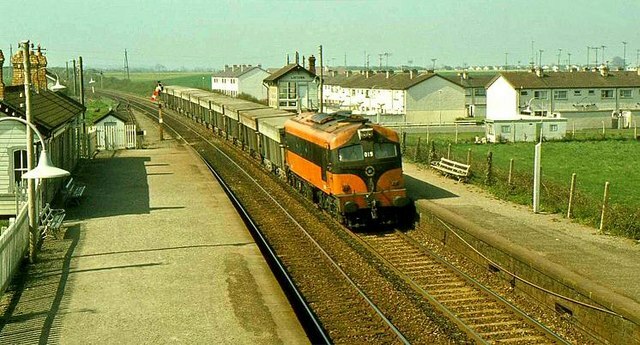 The same train, with its load of zinc ore, passing Laytown station for Dublin port. O1671 : Railcar at Laytown, Co. Meath makes an interesting view of the passage of time. This page has been viewed about 182 times.